Cloud Disaster recovery is the area of security and planning that deals with the protection of a business or organization from the effects of significant negative effects. Cloud Disaster Recovery is a set of policies and procedures that gives companies the ability of recovery or continuation of vital technology infrastructure and systems following a man-made or natural disaster. 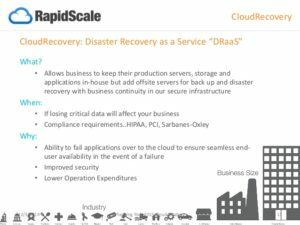 Cloud disaster recovery focuses on the IT, hardware and applications supporting critical business functions. Click image to expand. 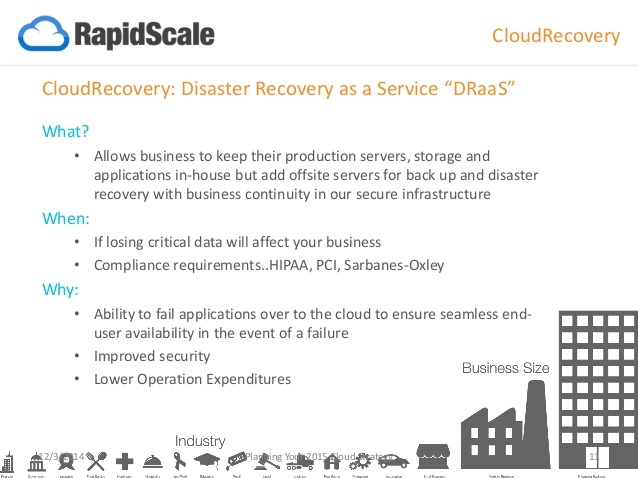 Via Rapidscale, What, When, Why on Cloud Disaster Recovery.